I’m Jamie – 25 – born and raised in Springfield, Massachusetts. I have always been involved in Equine. I have owned, shown, leased, ridden, & helped train many horses including my own. I’ve competed on the Hnuter/Jumper circuit, local circuits, and some Dressage. Photography came natural to me. I put my passion towards the horses into my camera and develop the best pictures I possible can. People have said that I have “the eye” – I have been in business for almost 4 years now. Every year I continue to grow and expand. I focus a lot on Event Photography – but I also do a lot of farm calls on the side. Senior portraits have also been extremely popular. Oh goodness – I don’t even remember. As long as I remember, I have always had a camera in my hand. When I was riding horses and showing every weekend I always remember taking pictures with one of those throw away cameras. I have 3 cameras. I have (1) Rebel XTi & (2) Canon 30D. The horses! They make me want to get up everyday and photograph! There are so many different kinds of horses and they all get me excited in one way or another. The “romantic” breeds give me goosebumps. 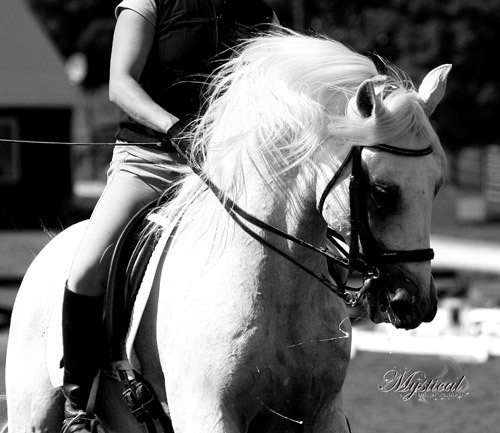 (Andalusions, Friesians, Lustianos, & Lippizaners) The jumpers give me an adrenaline rush. It makes me want to be on that very horse. 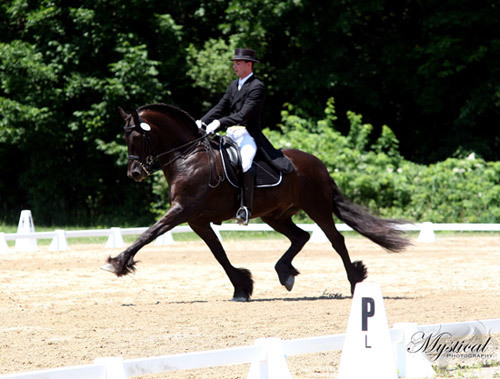 Dressage horses make the pretty picture – they are a form of art. Horses at liberty makes me want to capture their beauty in every way possible. Babies mean new life and offer a fresh new look! The babies let me capture so many different emotions. Curiosity, Respect, Dignity, and Friendship! Human influences include some of the best of the best! Terri Miller is amazing. She captures beauty and grace so well. Amy Riley has a unique eye and produces some spectacular images that make me say wow. Michelle Rudland’s images give me goosebumps. She captures raw talent, emotion, and trust! You don’t just photograph horses, what is your favorite subject? I love Teenagers! I love capturing that raw emotion and spirit. I do not have a studio. Everything I do is “on location” – They are sassy and fun to work around! I also enjoy weddings & babies! 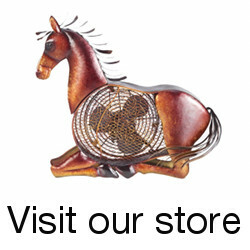 Have a favorite horse breed? The Friesian of course!! When I was young I always told myself “someday I will have a Friesian” I am lucky enough to own a Friesian Sport Horse Mare – She is also in foal to a purebred Friesian Stallion for a March 2010 baby.. The baby will be 3/4 Friesian.. It is funny that you ask this. My horse is the muse behind my companies name. I wanted something unique and something that people would remember. My horses name is Mystical Illusion – I decided to name my company after her “Mystical Photography”. When I am browsing the internet – I tend to view other photographers work. I want to see their work and it inspires me to be as good or even try to be better then them. When I visit other barns, I tend to check out the photographs on the wall and see who took them. I know – I’m an odd duck. I think the internet is a GREAT tool for photography. In this day and age – everything is digital. Everybody wants to see their photos fast. Online proofing is the way to go in this day in age. We do have the issues of people stealing images and people not respecting our rights, but it will be a part of our buisness. There are people who will steal, and who will try to get something for free – we just have to stand up to these people and let them know that we do not work for free. This is one of the biggest problems I think the internet faces with photography. However, I believe internet is the BEST tool for marketing! Facebook has been one of the best marketing tool for me. There has been a few instances where there has been stolen images from me but it was always taken care of. Like I mentioned up there, facebook has been my #1 marketing tool. People are glued to Facebook! 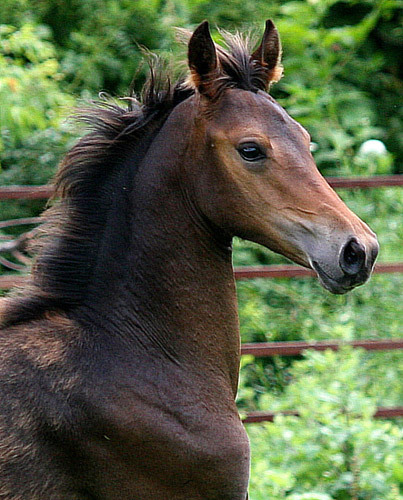 I have many…there is one of an Arabian/Friesian baby that is amazing to me. Every shot to me is special in it’s own way. 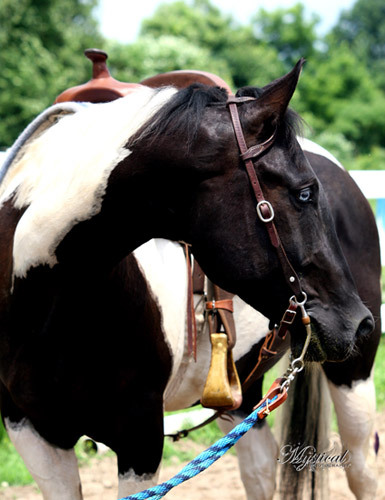 I love riding my horse – I love being around horses and learning everything I can about them. If I didn’t love horses so much, I honestly do not think that I would be an Equine Photographer. Thanks to Jamie for answering the interview and sharing her work. Be sure to check out her photography website periodically for updates about her latest works. This entry was posted in Interviews on July 28, 2009 by The Equinest. Great interview and beautiful images Jamie! You are so lucky to own a Friesian, I think they are magical! Great interview, and beautiful work!! Congrats! What lovely pictures, and a very interesting interview. Thankyou for sharing this!